At Park Smiles NYC Pediatrics, we make every effort to provide you with the finest care and the most convenient financial options. To accomplish this we work hand-in-hand with you to maximize your insurance reimbursement for covered procedures. If you have any problems or questions, please ask our staff. They are well informed and up-to-date. They can be reached by phone at 212-988-6727. Please call if you have any questions or concerns regarding your initial visit. Please bring your insurance information with you to the consultation so that we can expedite reimbursement. 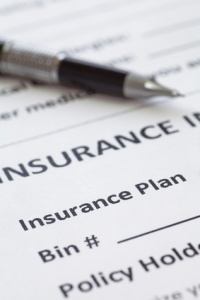 We participate with most insurance plans to cover your surgery. We also offer various forms of financing options so that receiving the best oral & maxillofacial treatment can be a financially feasible option. We also offer financing through Care Credit and Citibank’s Citi Health Card. If you have questions regarding your account, or for help filling out a financing application, please contact us at 212-988-6727. Often, a simple telephone call will clear any questions or concerns.